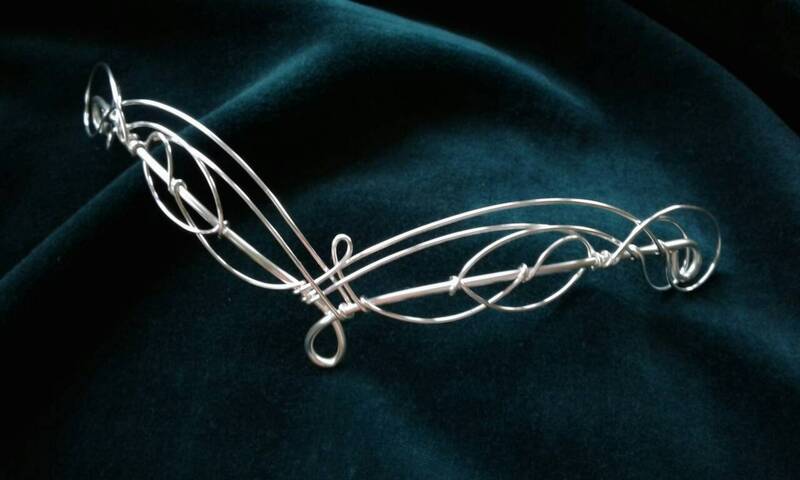 Wonderfully beautiful Elven Medieval Celtic hair decoration. 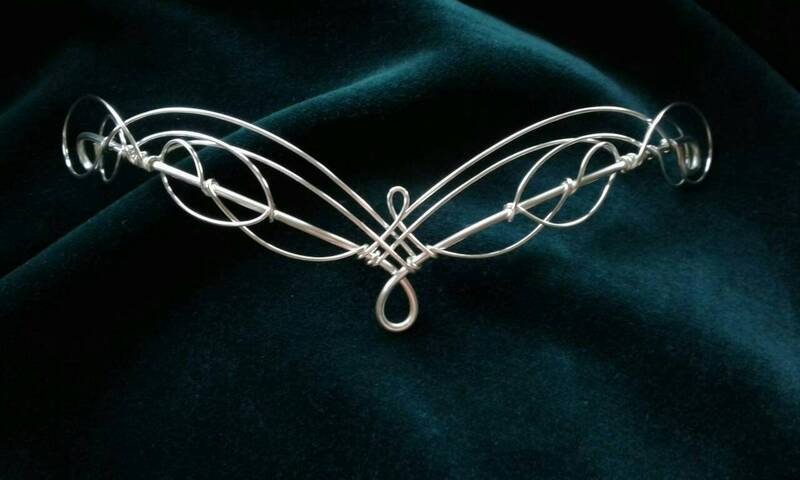 Created from just two pieces of silver plated wire, emulating traditional celtic knotwork. Worn on the back or side of the head, the decoration should be pinned into place like a hair vine. 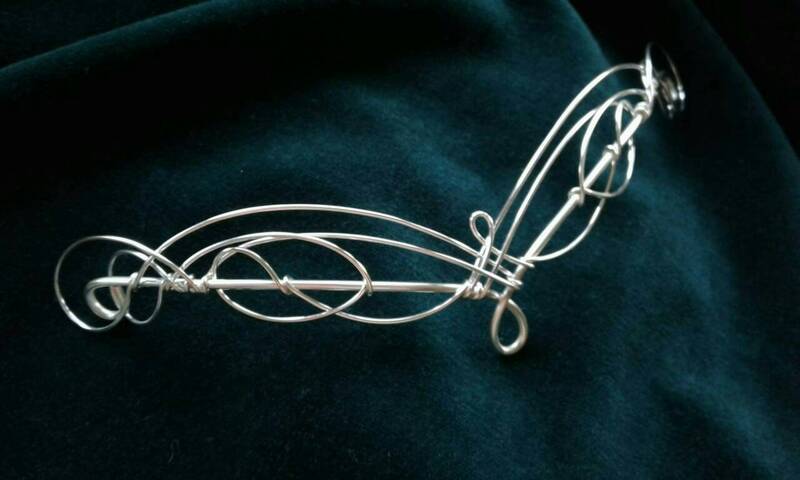 Measures 15cms (6 inches) across and 2.5cms (1 inch) from top to bottom at the center.